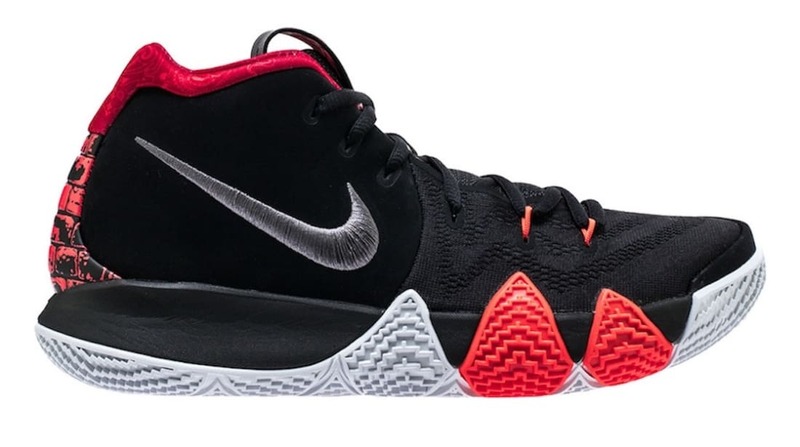 Nike Nike Kyrie 4 "41 For The Ages"
Nike Kyrie 4 "41 For The Ages"
To honor Kyrie Irving's time on the Cleveland Cavs, Nike is releasing this Nike Kyrie 4 "41 For The Ages." It’s a nod to his 41 point game in Game 5 of the 2016 NBA Finals, which is referenced with bricks on the heel tab. Releases April 14, 2018 at a retail price of $120.